Heart disease is the #1 killer of women in the United States, even more so for women that have had their ovaries removed. That’s a scary statistic. So, what’s a girl to do? 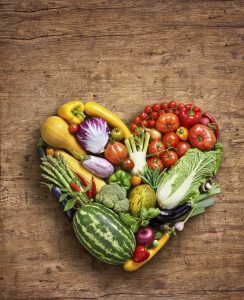 Start by replacing the junk food with these heart-healthy foods recommended by the American Heart Association. Whole grains. Whole grains, like brown rice and quinoa, are packed with many nutrients that refined grains are stripped of, like fiber, folate and iron, that can lower the risk of heart disease by up to 28 percent. Leafy greens. Greens such as kale and spinach are great sources of fiber, antioxidants, and other vitamins and minerals that contribute to heart health. Extra-virgin olive oil. This healthy fat can make a great heart-healthy substitute for butter. Raw, unsalted almonds and walnuts. A ¼ cup a day can boost your protein and lower your cholesterol. Tomatoes. This veggie is high in antioxidants that protect the heart. Fish. Fish are high in Omega-3s, which are known to benefit the heart, so add fish to your diet at least a couple times a week. Beans and lentils. Versatile and extremely healthy, beans and lentils are a great way to add fiber, protein, and iron to almost any meal. Grapes. Grapes are tiny packages of antioxidants and phytochemicals, making heart health a little sweeter. Berries. Filled with fiber and antioxidants, berries make great, heart-healthy desserts any time of the day. Dark chocolate. Add a little bit of dark chocolate to those berries and you’ve got an extra heart-healthy dessert option. A small amount of dark chocolate every so often can help lower your blood pressure and improve blood flow. If you would like more information on heart-healthy foods, contact Dr. Gordon C. Gunn MD at 714-912-2211 or visit www.gordongunnmd.com to schedule an appointment today.